The lame duck session of Congress finally made a move on the tax issues looming for the rest of the year and going forward. Here is a quick video outlining some of the individual tax updates that will affect your taxes. Thanks to the state and local taxation (S.A.L.T.) experts over at Peisner Johnson and Company, LLP here is a brief video of the 10 worst states to give charitable contributions in. For those that did not know, there are quite a few states that tax charitable contributions of inventory and non-inventory items. So for those small business owners that were thinking about giving away some of their inventory or non-inventory items to charity, think again. Small business owners (SBO’s) who use any kind of technology in their business will have undoubtedly heard someone mention “cloud computing” or “SaaS” (software as a service) and how this new technology will be the future of their business operations. Due to tighter small business budgets and a bit of misunderstanding of what the cloud has to offer, many small business owners continue with the “if it ain’t broke…” way of doing things. When speaking to small business owners about how they can streamline operations and save money, the topic of cloud computing seems to come up a great deal. I usually hear reasons for resisting the cloud to include security issues, control of data, and learning curve. More importantly, if a small business owner is in the process of investigating a move to the clouds what steps should he take to ensure a smooth transition? What I found out is that not every cloud accounting vendor has designed their product in the same manner. With security, disaster recovery, and data access being ranked the most important pain points for small business owners, I felt there was a need to get these questions answered first. There are typically two approaches a cloud vendor will take when building their security infrastructure. Some cloud vendors address the security issue internally usually by building their own data centers with security measures built in and some cloud vendors outsource these functions to another vendor. Of the cloud accounting vendors that I spoke with, one did outsource their data center to an Amazon server farm. Their rationale was that Amazon’s security is top notch and they could focus their energy of developing the features of their cloud accounting product. Cloud accounting products must also reassure small business owners that their data will be safe in the event of a disaster. A small business owner must ask in depth questions regarding the cloud vendor’s data center location, if there are additional data centers, and where those data centers are located to ensure that in the event of a disaster, the small businesses data will be protected and available. Although having access to the data at all times is an important part of cloud computing, knowing who has access to your data is just as important. All the cloud computing vendors that I spoke to assured me that the only individuals that would have access to my data would be the individuals that I gave permission to. As with on premise software, a small business owner must have the proper controls in place to deter unauthorized access to certain areas of the software. The cloud vendors that I spoke to have integrated various levels of controls into their cloud offerings that include user name and password protection, password expiration dates, and permission access that limits what certain users can access. 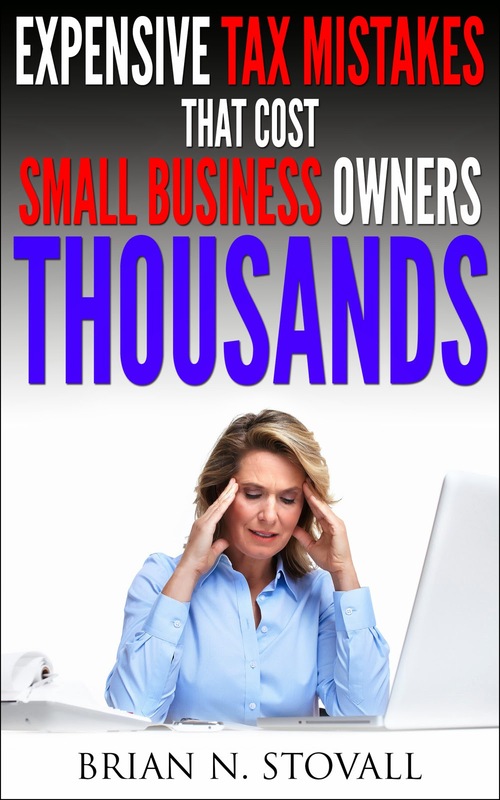 As you can see, there are quite a few issues that need to be address before a small business owner takes a leap into the clouds. By speaking with cloud vendors, mapping out a plan, and test driving systems before going full speed with a cloud accounting solution, a small business owner can move their mission critical data to the clouds seamlessly. Here is the topic that just won't go away....at least maybe not this year. Due to the lame duck Congress not reaching a compromise, the Form 1099 reporting requirements look like they will be a reality in the coming years. Still confused about the new Form 1099 reporting requirements, feel free to watch this short video to fill you in on the details.